The home of the future is here. 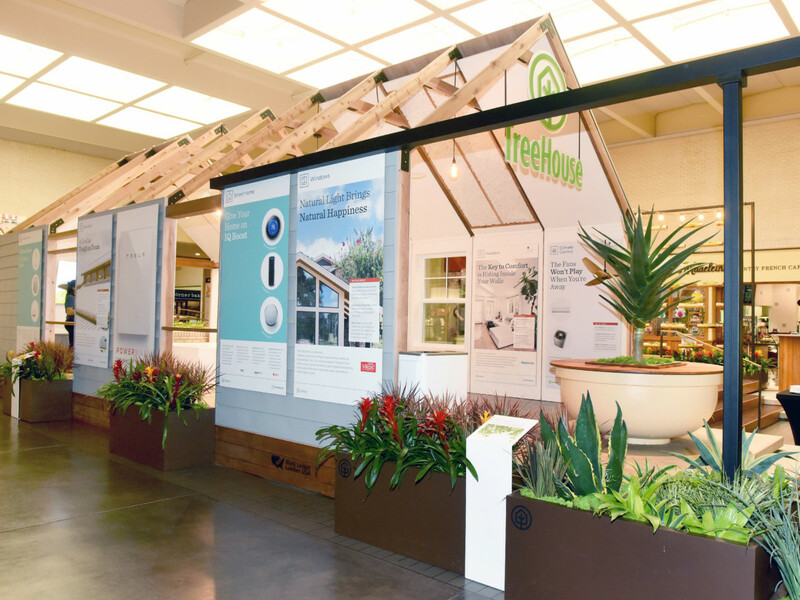 TreeHouse, the Austin-based sustainable home improvement store, has its first-ever Sustainable Home of the Future exhibition on display in Dallas through May 31 to prep North Texans for TreeHouse’s forthcoming retail store in Dallas. “For two months, we will convert the NorthPark Center Step Court into a sustainably built urban oasis, incorporating eco-friendly materials, cutting-edge technology, native Texas landscaping, and educational vignettes on the importance of maintaining a healthy home,” TreeHouse founder and CEO Jason Ballard says. The home was constructed with some of the greenest materials you can imagine and takes renewable energy, like solar panels, to the next level with Tesla-powered walls. A rainwater harvesting tank and Zera food recycler that turns scraps into compost are an urban gardener’s dream. Efficient fixtures and appliances, such as Haiku ceiling fans and Haiku lights bulbs, save energy while looking sleek and clean. And rot-resistant pavers and lumber from Black Locust are sustainably sourced, while Texas-made Milgard windows fight heat gain with a thermal break that improves efficiency. When TreeHouse, aka Home Depot for hipsters, opens its first Dallas location on June 1, it will be the first energy-positive retail location in the U.S., meaning it will put energy back into the city’s grid. TreeHouse will open on the northeast corner of Walnut Hill and Central Expressway within The Hill shopping center. A Tesla Powerpack, a high-performance battery for the grid, will be on display within the store. TreeHouse will open a second North Texas location in Plano this fall, but details have not yet been announced.